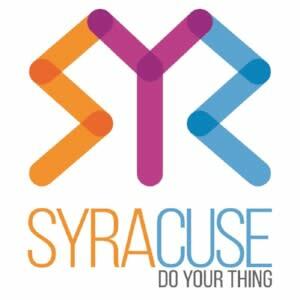 Syracuse, NY (June 7, 2018) - Experience Central New York’s top attractions this summer with the return of the Destiny USA Summer Fun Pass and get access to four of 29 participating Destiny USA attractions, free admission to the 2018 Great New York State Fair, Syracuse Chiefs, Rosamond Gifford Zoo and Syracuse University Football as added bonuses. 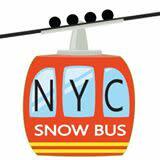 New York, N.Y. – NYC Snow Bus is excited to announce the launch of the 2017/2018-ski season, beginning December 16th 2017. Winter is here, and NYC Snow Bus is ready. At NYC Snow Bus, we take a customer-first approach, which allows us to focus on building the best ski/snow bus company in NYC. From there we run our service on providing the best mountain experience for our customers. If it’s not by providing lift and equipment tickets in advance, then it’s by to providing complimentary breakfast and drinks (alcoholic and non-alcoholic) on the bus, always keeping in mind customer satisfaction and happiness. Governor Andrew M. Cuomo today encouraged residents and visitors to explore New York&apos;s world class parks, snowmobile trails, ski resorts and outdoor attractions this weekend following the massive snowstorm that brought nearly 42 inches of snow to areas of Upstate New York. The Governor also announced three state-owned ski resorts - Belleayre Ski Resort, Gore Mountain and Whiteface Mountain - have joined the Multi Alpine Experience Pass program, bringing more skiers and snowboarders from across the United States and Canada to experience New York&apos;s ski areas. 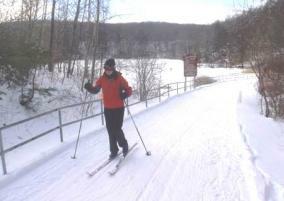 Fahnestock Winter Park has opened for the season. 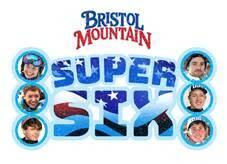 The park offers over 11 miles of machine-groomed trails for snowshoeing and cross country skiing enthusiasts. The Winter Park will continue to operate as conditions allow. The public is encouraged to contact the park and check its website and social media pages to stay up to date with the operating schedule. Governor Andrew M. Cuomo today announced the state will invest up to $20 million for major upgrades at Whiteface and Gore Mountains to attract more visitors and build on the North Country&apos;s bourgeoning winter tourism industry. 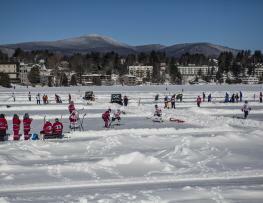 Lake Placid, N.Y. - Helicopter rides, ice bowling, snow sculpting and pond hockey will highlight the first annual Hockeyfest Weekend on Jan. 26-29 in Lake Placid, N.Y.
Hockeyfest has been introduced as a way to enhance the already-festive atmosphere of the annual CAN/AM Adult Pond Hockey tournament that occurs on a series of perfectly groomed rinks lined up on Mirror Lake in Lake Placid each year. 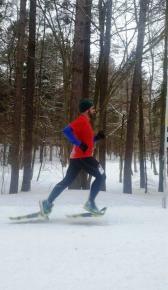 Boylston and Mannsville, N.Y. - The Winona Forest Recreation Association kicks off its season of winter events Jan. 28 with the Stone Wall Snowshoe Walk and Race through ths sprawling 9,000-acre state forest in northern Oswego and southern Jefferson counties. 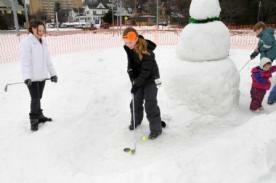 Saranac Lake, N.Y. - Arctic Golf, one of the Saranac Lake Winter Carnival&apos;s most unique and popular events, will be going from a home grown, small town event to the big city as part of Central Park&apos;s Winter Jam event on January 28. Not many people can say they&apos;ve played miniature golf outdoors in the winter, except those who have at the Saranac Lake Winter Carnival. But now thousands of New York City&apos;s residents and visitors from all over the world will get to experience this winter oddity during Winter Jam.